Gum is gingival fibers (soft tissue) surrounding neck of the teeth. Inflammation of gums (red and spongy, pain on pressing) / gum disease may lead to loss of bone surrounding the teeth and hence cause tooth-ache. Whiter the teeth, smarter the look and more beautiful the Smile Everybody wants to have pearly white teeth. 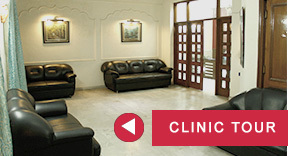 Dental clinic is the best place to seek professional help. Safety of the procedure and cost are the two main considerations before selecting the procedure.